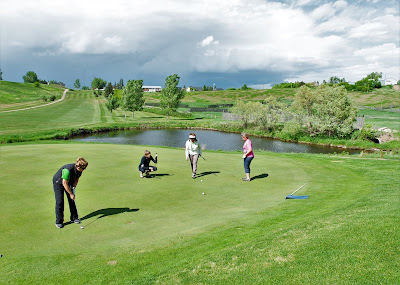 Trochu, Alberta has been featured on the silver screen, but you can put it in your pictures! Only 1.5 hours from Calgary. Forget the props — you won’t need them here. Trochu is like a rural movie set, and it has actually stood in for one before. It’s easy to see why as I pull up to the Saint Ann Country Ranch Provincial Historic Site. A lone black mare grazes in a field of long grass bounded by log fencing. 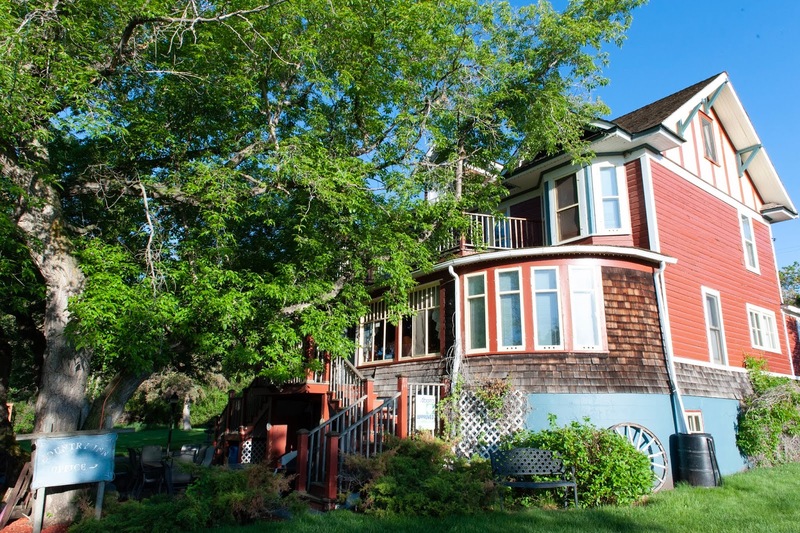 Tucked in a rolling prairie dell, on the original Trochu townsite, the ranch features seven heritage buildings including the post office, blacksmith’s, schoolhouse and church, all connected by wooden boardwalk. CBC filmed parts of the TV show Heartland here. DeVilder country house, the centrepiece of the ranch, now serves as a 10-bedroom inn and retreat. Spacious, quiet and free from modern distraction, my stay here is one of the most peaceful and calming I’ve experienced. 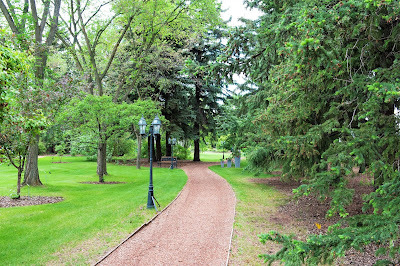 The sense of being in a turn-of-the-20th century movie set continues as I stroll through the grounds of the Trochu Arboretum. It takes over 100 volunteers to plant, weed and nurture the extensive groves and gardens. My knowledge of plant and tree species is tested as I explore. Like so many of us in our increasingly urbanized world, I’ve lost a large portion of my natural vocabulary. Fortunately, the arboretum offers a way for us to rediscover some of what we’ve lost. Or, just engage in the growing trend of forest bathing. It’s as if my brain has been given a vigorous scrub with a spruce branch. Coming in to Trochu, I knew almost nothing of this place. 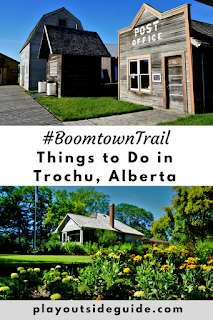 After all, Trochu — pronounced “Tr - oh - shoe,” population 1,000 — even developed a “Where the Hell is Trochu?” marketing campaign based on its own anonymity. But with every turn, from the ranch to the arboretum, to the badlands at Tolman Crossing, I’ve discovered deep roots and a sense of connection. If you don’t know where the hell Trochu is, then you should. Play a round at the Trochu Golf and Country Club, a well-kept and challenging course, and snap the obligatory selfie at the World’s Largest Golf Tee. For shoe lovers, Henry’s Shoes is a must. It’s said that even New Yorkers have made the pilgrimage to see the store’s vast collection. Be sure to pick up an “I Know Where the Hell Trochu Is” cap or button, the ultimate Trochu souvenir. Experience the #BoomTownTrail - learn more about Trochu and start planning here. 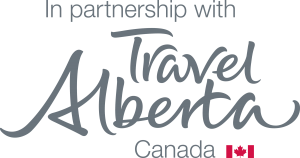 Make it a road trip - discover seven destinations filled with unique experiences - start here by visiting ZenSeekers’ #BoomTownTrail expedition page.